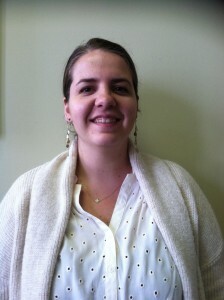 Julie Madsen serves as the recruitment coordinator for Team P4K. Her responsibilities include recruiting and matching mentors and goal buddies with their student counterparts. Another large part of her job is educating local businesses and community organizations about the ways they can get involved and support P4K. Julie says the best part of her job is meeting amazing individuals who truly care about kids and the community. If Julie’s face looks familiar, it might be because you’ve met her before in a different role with P4K. Just a few years ago, Julie served as a middle school program manager with the Partnership team before taking on a new professional challenge, managing Girl Scouts leadership programming. She is now officially back on team P4K and says she couldn’t be more excited! Outside of work, Julie loves arts and crafts, school supplies, home décor and…SNOW! ?